Weight 1/2 oz. 3/4 oz. 3/8 oz. Deflection jigheads are most commonly rigged with Creature style or Beaver-style soft plastics. 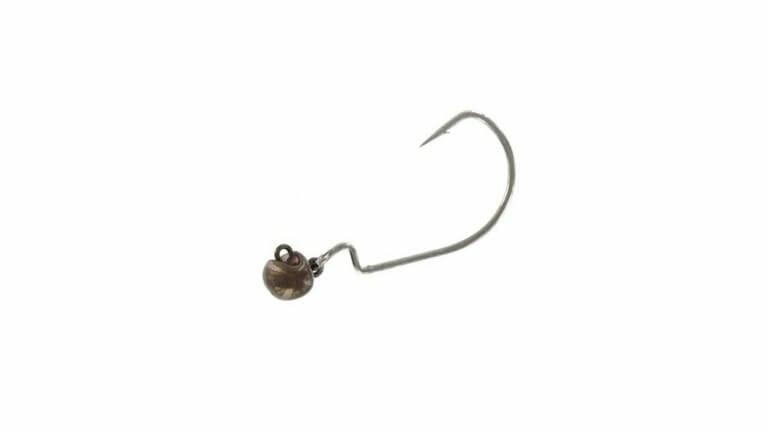 Their free moving pivoting swiveling hook attachment to the football head allows the bait to deflect in random directions as it bumps into any available structure. Similar to fishing a crankbait, the most common time to get bit is during these deflections. They were designed for covering lots of water in a shorter periods of time. Large flats with scattered rock would be one example of where to use this lure and technique. Make a long cast and start reeling slow enough to keep in contact with the bottom but fast enough to keep the bait moving. You'll notice the Bass Patrol Defection jig-heads are also equipped with a recessed line tie to help protect the knot area from abrasion.